According to the National Highway Traffic Safety Administration (NHTSA), a motor vehicle is stolen approximately every 41 seconds. That adds up to over 750,000 motor vehicles a year. Whether you own a car, pickup truck, SUV, or motorcycle, your vehicle could be at risk. 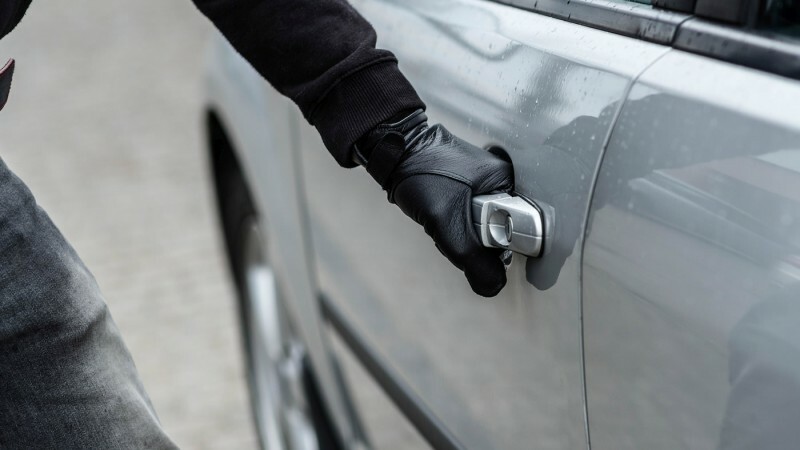 These tips can help you reduce the risk of your vehicle being stolen. Remember that a vehicle can be stolen in about a minute so take precautions. Park in a well-lit area. If you have a garage, use it. Never leave your keys in the car or the car running and unattended. Close all the windows and the sunroof. Don't keep the valet key in your vehicle. When parked on the street, turn your wheels toward the curb to make it more difficult for it to be towed. Don't leave valuables or personal items, including your purse or wallet, visible in the car. Lock items in the truck or covered area. Use the vehicle's anti-theft system if it has one. If not, consider having one installed. Unless required by your state, don't keep your vehicle title, registration, and proof of insurance in your vehicle. Use the provided tracking system or install a tracking device. This can help recover the vehicle if it's stolen. Don't leave the fob in your car or hidden in the car. If possible, disable the touch entry. That will prevent thieves from entering the vehicle if you are close. Switch off the fob when not in use. Test the fob to see how far away from the vehicle it works. Store the key outside of that range. You can also store it in a metal container, signal blocking wallet or signal blocking pouch such as a Faraday bag. Remember that a vehicle can be stolen in about a minute so taking these and other precautions can make it harder for a thief.